How did you get into dragon boating? I’m relatively new to dragon boating, but since my first encounter with a Dragon Boat, I have fallen in love with everything the sport has to offer. In 2010, I worked for a local non-profit, Bridge Builders Alabama, which is a youth leadership development and community service program for high school students. 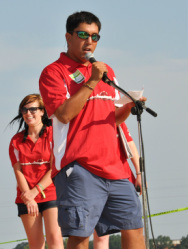 We were introduced to dragon boating because our organization was looking for a new and exciting fundraising idea. After a visit to a Dragon Boat Festival in Tennessee, we put together the first Dragon Boat event in the state of Alabama in just 52 days. Bridge Builders Alabama partnered with another local nonprofit to make this happen, Rebuilding Together Central Alabama, and these two are still the worthy beneficiaries of the Montgomery Dragon Boat Race and Festival today. Our first community festival in 2010 drew 27 teams and 1,500 spectators to the beautiful downtown riverfront and has since grown to over 70 teams and 10,000 spectators at this past year’s Festival. It’s been thrilling to watch how dragon boating has taken off in this city in only three years. Montgomery has made a huge effort to revitalize and re-energize the Downtown entertainment district, and part of that provided us with the ideal venue for dragon boating at our beautiful riverfront facility. 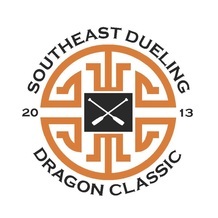 I am looking forward to sharing Montgomery’s rich heritage and exciting Downtown district with clubs and teams from outside our state for the Southeast Dueling Dragon Classic on June 8th! What is your best memory of the sport to date? My best memory thus far has to be from the 2012 Festival. As teams were backing into the start docks for the start of the Championship race, my hardworking staff Katie, Courtney, and Rebekah joined me on the Amphitheatre stage to watch. After a long, exhausting, incredible day on the riverfront, it was a wonderful feeling to stand up there and watch knowing that at the end of the day we had pulled off another great event for the teams, the community, and most importantly for the benefit of Bridge Builders Alabama and Rebuilding Together Central Alabama. It was truly special seeing such a diverse cross section of our community represented at this event. Montgomery has needed something unique to rally behind and to have that be dragon boating is so cool to me. It was a huge motivator me and has inspired me to share this sport and our city with new people in 2013! What are your hopes for the future of dragon boating? My hope for dragon boating in Montgomery is that the sport continues to grow in the central Alabama region. Access to such a wonderful riverfront facility allows for the opportunity for more enthusiasts and newcomers alike to “pull together” with friends, family, and coworkers. I hope to see our August Festival continue to attract more local teams, vendors and exhibitors, and for this new June event to highlight all Montgomery has to offer to dragon boaters outside of the state. Dragon boating is an ideal way to unite entire communities. It reaches such a diverse group of people, and is a wonderful tool for nonprofits to share their work and mission while fundraising. What makes dragon boating in Montgomery unique? Dragon boating in Montgomery is special thanks mostly to the incredible location of the venue. The Montgomery riverfront is in the heart of Downtown, within walking distance of restaurants, bars, and outdoor venues such as the Biscuits baseball Stadium and Trainshed. The grounds of the Festival are an ideal location for both the on-the-water and off-the-water action. The Amphitheatre stage is right on the river, so overlooks the length of the race course, and Athlete’s Village is conveniently located on the sloping green facing the stage. Dragon boating first came to Montgomery in 2010, and that first year was a great success. People from all across the community paddled and even more came down to spectate. One of the reasons my organization has had such enthusiastic participation is due to the festival atmosphere I work hard to create. While racing is the highlight of the day, the athletes and supporters also enjoy the team’s imaginatively-decorated tent sites in Athlete’s village and the rows of local vendors and exhibitors. I’ve enjoyed seeing our event grow along with the downtown entertainment district. 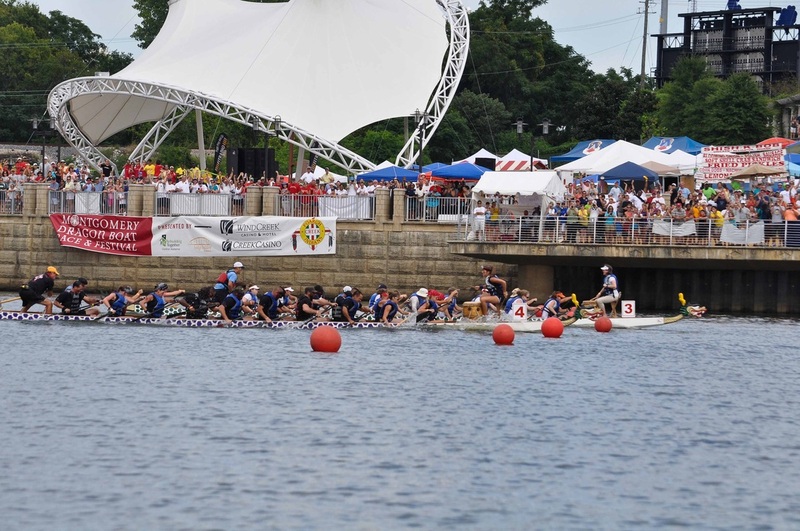 In 2013 I am thrilled to bring more excitement to the riverfront with the Southeast Dueling Dragon Classic and fourth annual Montgomery Dragon Boat Festival! How did you end up in Montgomery, Alabama? I grew up in a small town outside of Boston, Massachusetts called Topsfield. After high school, I took the opportunity to leave New England for a Southern College experience. I started attendance at the University of Georgia in fall 2004, where I immediately fell in love with the deep south and Georgia Bulldog football (Go Dawgs!) After four, ok four and a half years of college and game days in wonderful Athens GA, I tried my hand at corporate life in Richmond, Virginia before deciding I wanted to pursue my passion for the non-profit world. The summer after my sophomore year in college, I was a summer camp counselor with the Muscular Dystrophy Association. My work with the children there really kickstarted my love for helping others in less fortunate situations. I began working with other nonprofits on campus including Children’s Miracle Network of Atlanta, the American Red Cross Student Association, and Extra Special People. I was excited to come to Montgomery to work with Bridge Builders Alabama, it felt like my true calling. Bridge Builders is a unique program that brings high school students of differing socio-economic backgrounds together in leadership-building exercises. This was my first time in Montgomery but I felt right at home working with such a wonderful group of students, teaching them to become passionate and community-oriented young leaders. Shortly after arriving, I fell in love with the city and enjoyed being a part of its development. The opportunity to become executive director of MDBF and SDDC was a dream come true. When Rebuilding Together Central Alabama came on board as co-partner in the organization of MDBF, I got to see the life-improving work they do for low-income, elderly, and disabled homeowners first-hand. Every day I go to work I think about the positive impact my organization is making on our beneficiaries and the community. I look forward to sharing this wonderful sport and city of Montgomery with dragon boaters, teams, and clubs all over the country. Andrew Szymanski is the Executive Director of the Montgomery Dragon Boat Race & Festival, and can be reached by email at director@montgomerydragonboat.org. Montgomery Riverfront Amphitheater during the 2012 dragon boat festival. 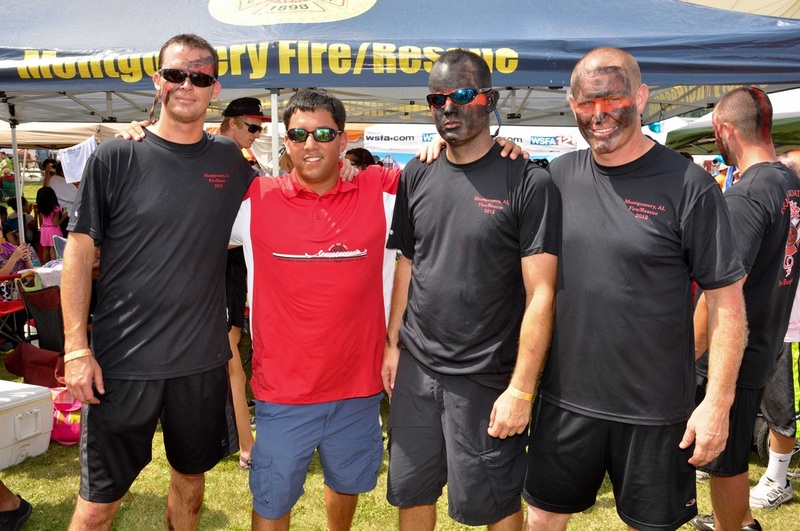 Andrew Szymanski (in red) with the Montgomery Fire Rescue team at the 2012 festival.